إن فندق 315 Motel Riccarton بموقعه الممتاز في ريكارتون هو نقطة انطلاق جيدة لنزهاتك في كرايستشرش. يقع مركز المدينة المثير على بعد 5:3km فقط. كما يمكن الوصول بسهولة إلى Okeover Community Garden, Riccarton House & Bush Sunday Artisan Market, Farmers in the City. إن 315 Motel Riccarton حريص على توفير الراحة للنزلاء، فلا يوفر الموظفون جهداً في تقديم أفضل الخدمات وضمان حسن الاستقبال. يقدم الفندق واي فاي مجاني في جميع الغرف, مرافق مخصصة لذوي الاحتياجات الخاصة, تسجيل وصول/خروج سريع, تخزين الأمتعة, واي فاي في المناطق العامة لضمان الراحة القصوى لضيوفه. بالإضافة لهذا,تتضمن كل غرف الضيوف مجموعة واسعة من وسائل الراحة . بعض الغرف توفر حتى تلفزيون بشاشة مسطحة, اتصال لاسلكي بالإنترنت, حوض الاسترخاء, غرف لغير المدخنين, مكيف هواء لإرضاء أكثر الضيوف تطلباً. يقدم الفندق مجموعة رائعة من الخدمات كمثل مسار جولف - ضمن 3 كم, حديقة، لجعل إقامتك تجربة لا تنسى. مهما كانت أسبابك لزيارة كرايستشرش، فإن 315 Motel Riccarton هو الخيار الأفضل لإقامة مثيرة وممتعة. it has everything you need, a good kitchen, hot shower, comfortable bed, living room with a sofa.. we stayed on the second floor, we didn't have much heavy luggage so it's not an issue. it is nearby shopping centre and there supermarket, about a 5 min walk or 2 min drive. When we arrived there was a sign on the reception door saying they were dropping customers off at the airport and would be back in 20 minutes. 20 minutes later, person comes back on push bike only to go in the reception and shout for someone to come from the back to give me the keys. Very disappointed. Great stay. We have a one bedroom unit on the upper floor. The room is very nice. There is one bed in the bedroom and a small bed in the living room. It has small kitchenette which is more than enough for us. The location is good. It is within walking distance to community mall with variety of restaurants and grocery store. There is a shuttle to/from airport. However, I think the shuttle starts at 7 or 8 in the morning. If you have early flight, you will need a taxi which costs around $30. We will stay here again if we are back to Christchurch. My friend and I had a wonderful stay here. It's a motel but feels like I'm staying in a luxury hotel. The room is clean and well decorated. They even have a spa/Jacuzzi bathtub! So relaxing after a long day walk at Christchurch. Supermarket (Countdown) which opens til midnight is within 10 min walk from the motel. Host Carol has 20 over years of running motel business and she is very friendly and helpful. Her assistant manager, George, is just as friendly and helpful. They provide free airport transfer but do arrange with them earlier. Carol came to pick us up at CHC airport and George fetch us back to the airport. Had a good chat with them during the journey. Highly recommend this motel for your stay at Christchurch. Was very impressed with accommodation, was very comfortable and clean. room is clean and tidy, location is near to eatery and groceries, also petrol station, accessible by public transportation, nice and comfy bed, a bit far from city center. This is the second time we have stayed here. Very convenient if you have children at Cantebury University and you need to be in Christchurch for graduation. Staffs are very nice, helpful and friendly. Free shuttle service was very useful, as travelling from airport by taxi costs 50 dollars. Nice and flexible staff, great price for good value. Not sure about the breakfast procedures, it should be confirmed with the staff that breakfast is delivered at an appropriate time. 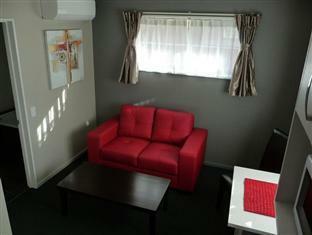 Comfortable room, well equipped, very clean, hot water, all great! Small room but well-equipped with the basic. Will be great if the heater in the bathroom is working and the spider web in the corner was cleared off. Internet is free and unlimited but each internet code is for 6hrs. Once you finish, you would have to approach the reception before they close at 8pm and they will gladly provide you a new code. Regular users may find it troublesome. It's was a great experience as the host (Alex) was very friendly and helpful in all enquiries we had. The room was great! The room, toilet was Ccean and there's good selection of movie for entertainment to watch. Definitely going back if I ever visit Christchurch again! 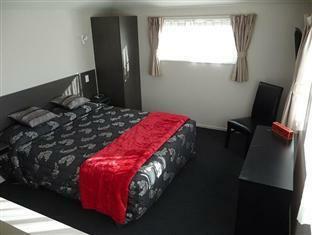 Well equipped and clean room, excellent location and really friendly staff. Can't recommend a better place. Booked the access which has a parking directly outside the room and had grab handles (accessible) in the bathroom. kitchen w adequate crockery and utensils for 2. good shower facilities and lots of tv channels. The reception was a small and tight space however they had lots of brochures to pick from. Staff was nice and friendly and gave clear instructions. The cold milk was a nice touch. Room had abit of everything. However it is abit too cramped for 2 luggages to open on the floor for packing n unpacking. Toilet and kitchen was great. Bed was nice and comfy w a mattress heater. However both bedside lamps were faulty. And found leaves and dirt flew into the room Frm underneath the front door after coming back to the hotel at the end of the day. Overall nice stay. We chose the motel because it was convenient for the airport and it offered a shuttle service. We arrived at 7pm, wanting to find somewhere to eat, and the young man at reception recommended the nearby Spice Paragon, within walking distance, where we had a delicious meal. In the morning it was really easy to arrange our lift to the airport and the lady at reception was very helpful. The room was very nicely furnished, clean and comfortable. The staff, especially Carol was very helpful. location, clean and tidy studio. 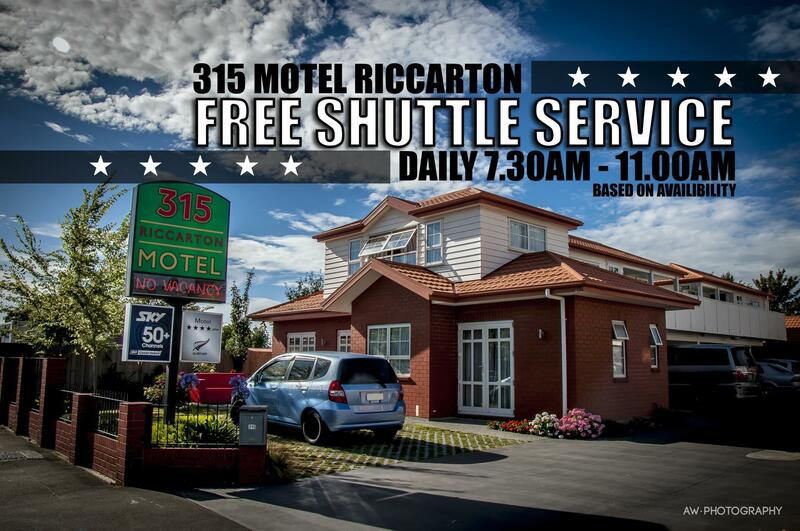 315 Riccarton is a clean and tidy motel with great staff, the studios are compact but were adequate for our 2 night stay. Carole goes out of her way to help her clients and this is the wonderful thing about not staying at a hotel chain, you get personal service. I had requested airport shuttle and this was provided. Thanks to Carole for the lift, much appreciated. The location is good, the city centre is a 5km walk. There are shops & restaurants within walking distance around the motel. I would stay here again. 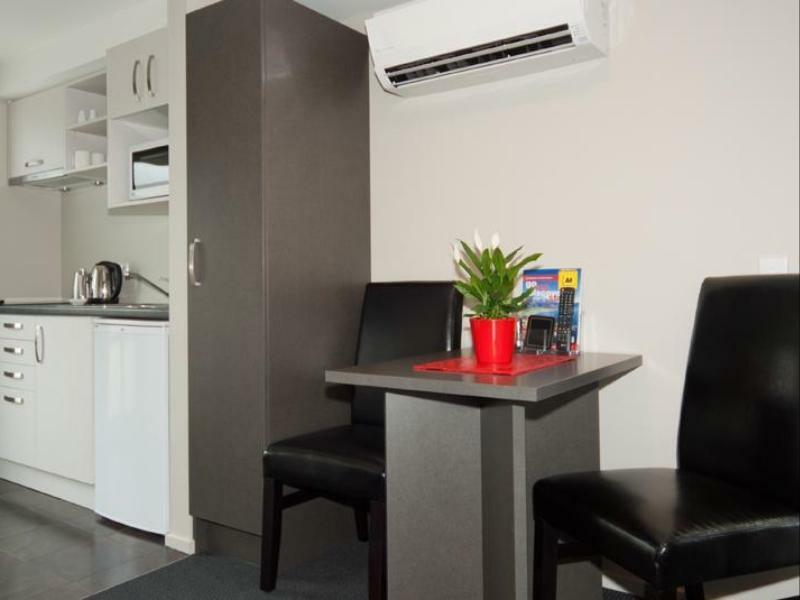 this is a great little spot for travellers who want a clean and well equipped unit for a night or two. Carol and George are friendly and helpful. Be wary of neighbouring dogs however who we heard barking next door during both nights we stayed.